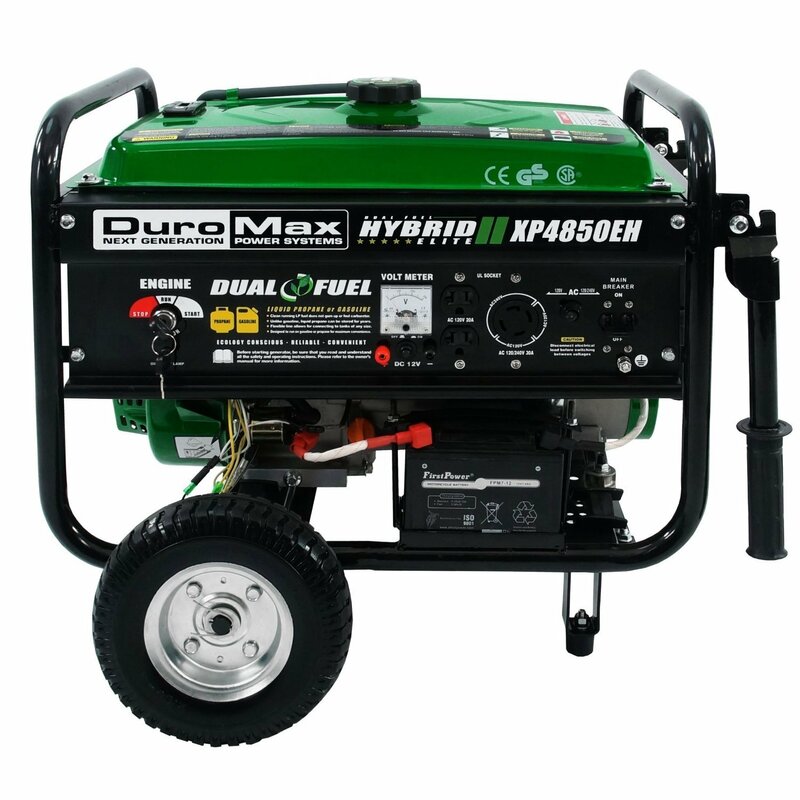 The DuroMax XP4850EH Propane Generator is a powerful, gas and propane powered unit that will provide reliable power whenever you need it. 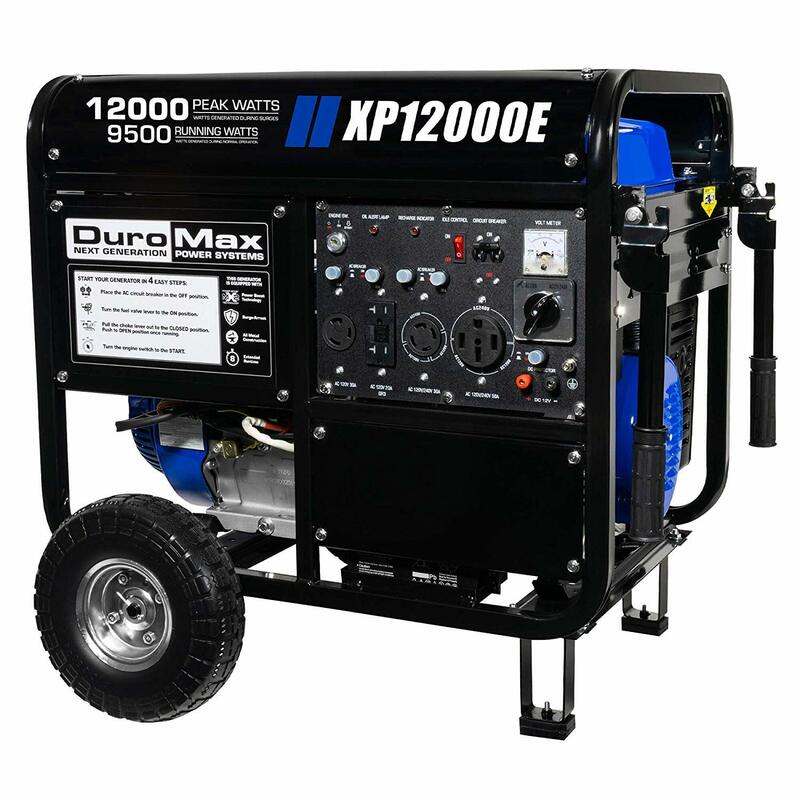 It features the DuroMax Dual Fuel Technology that is now capable of nearly doubling the lifetime of your generator by being able to run on cleaner burning propane from a BBQ tank or main line. 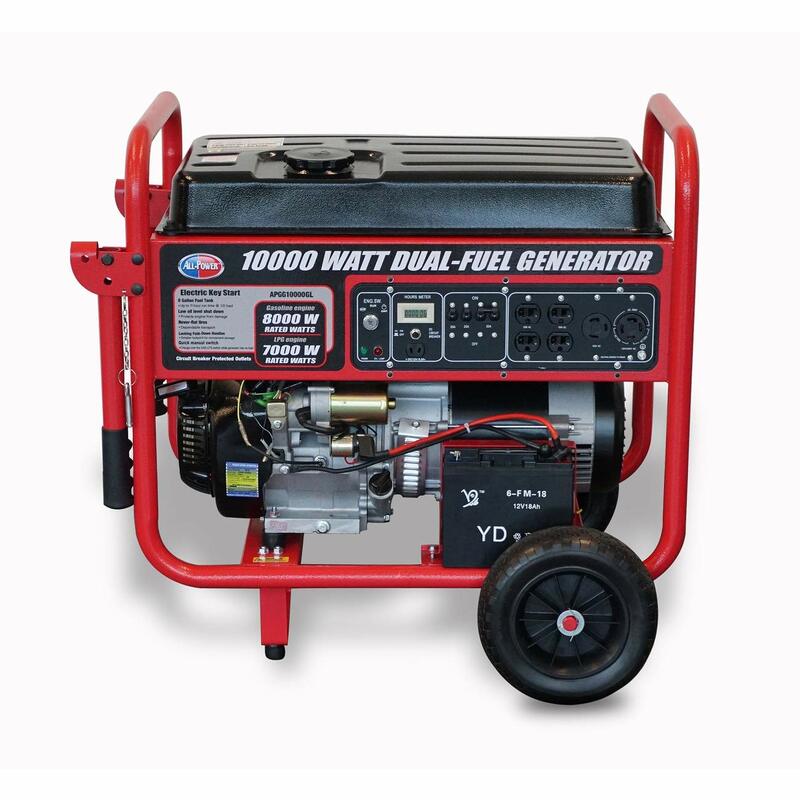 There are many advantages to running a Generator on Propane, including being easy to store, longer lasting and more readily available during disasters. Switching over from gas to propane is easy and is done so with a simple flip of a fuel switch. By using Propane, it will also give you quicker, more steady starts every time. 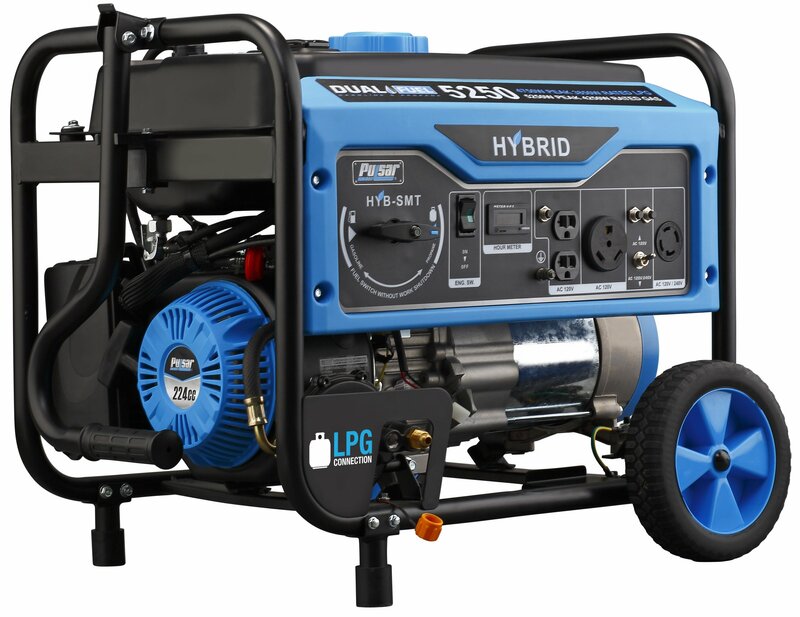 It provides a constant 3,850 watts of power and a peak of 4,850 watts. 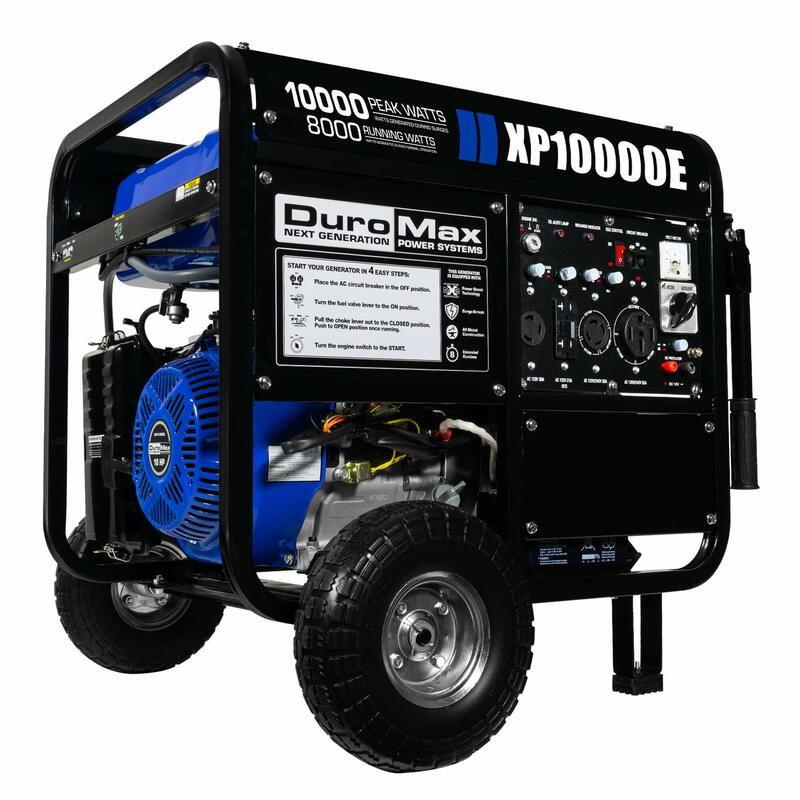 This will adequately handle most household items needed in a emergency or power outage including refrigerator, lights and other basic necessities. BRAND NEW WITH 1 YEAR MANUFACTURE WARRANTY.